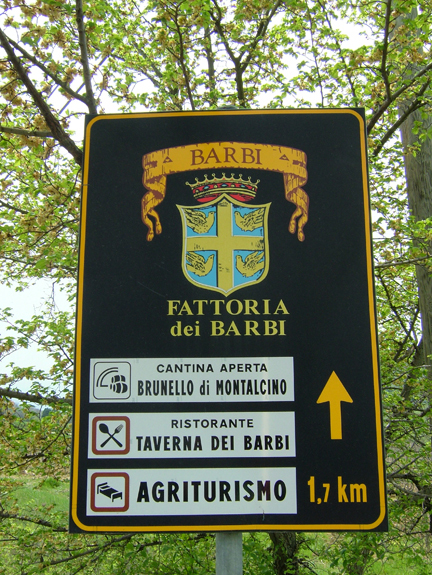 Montalcino Blog by Barbi was conceived in 2015 by legacy winemaker Stefano Cinelli Colombini as a platform to celebrate the history, culture, and viticulture of Montalcino through social media. An avid historian of Montalcino and its environs, Stefano — who, as part of one of the appellation’s earliest winemaking families, is very much part of Montalcino history — has written extensively on Montalcino’s past, present, and future. He is also the founder of the Museo del Brunello (Brunello Museum, opened in 2003), an archive of winemaking and farming traditions in Montalcino and a visitor center that allows guests to “walk through” the history of its Montalcino and its most important wineries. Stefano is also an outspoken advocate for the appellation and its residents. He has authored numerous opinion pieces arguing in favor of grape growers and winemakers whose livelihood has been threatened by restrictive and often nearsighted regional oversight of farming practices there. Earlier this year, he was approached by Italian food and wine historian and wine blogger Jeremy Parzen, Ph.D., who proposed this joint project. The idea was to create a English-language blog that would open a window on to the rich cultural heritage of Montalcino for non-Italian speakers. Before devoting himself to enogastronomy, Jeremy was a scholar of Italian literature with a focus on medieval Italian poetry and language. In many ways, Montalcino Blog represents a “dream come true” for him: Its goal is to be marriage of contemporary food and wine writing and Italian historiography. Please click here to send an email to Jeremy.